I enjoy coming up with new ways to use a common seasoning. Curry over bananas, Southwestern spice over popcorn, salt and pepper in chocolate bark — these are a few of my creations. The latest one was inspired by Thanksgiving, just a few weeks ago, and a desire to use my “Gobble Me Up” seasoning for something besides stuffing. Fall has arrived in the beautiful Berkshires, with all of the things we love about it: the vibrant colors, crisp air, dramatic skies, apple harvests, picking pumpkins and the transforming leaves. 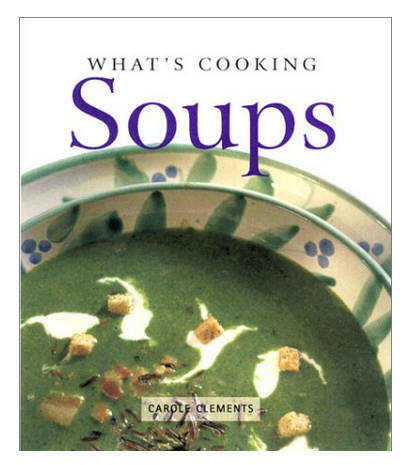 I own over 30 cookbooks, yet I admit that I seldom crack them open — except for this one: “What’s Cooking: SOUPS” by Carole Clements. It’s the variety of recipes that hooked me, along with some real standouts like the Molé Soup that follows below (note: Molé, not mole as in the furry animal — that’s in a different cookbook). I generally do my own thing in the kitchen, but when you do that, you are limited by your own experience. In other words, even if you have a pretty wide repertoire of tastes and cuisines, it is unlikely that you will be able to whip up a Senegalese dish, while at the same time having a reference point for British-style dishes and Asian and Mediterranean AND North African. The timing was perfect to receive this book as a gift: my friend Mike knew that I was preparing weekly soups for The Village Scoop here in Hillsdale, along with several private customers. I had wanted to go as many weeks as possible without repeating any soup, and it was starting to become a challenge. Goodness sake, it’s April 19th and it still doesn’t feel like Spring yet! I’m still in “warm and filling” mode, for my weekly soup creations. When I was deciding what to make this week, an old favorite came to mind: this intensely flavorful chowder that gets all steamy and fragrant, but that’s super easy to make. 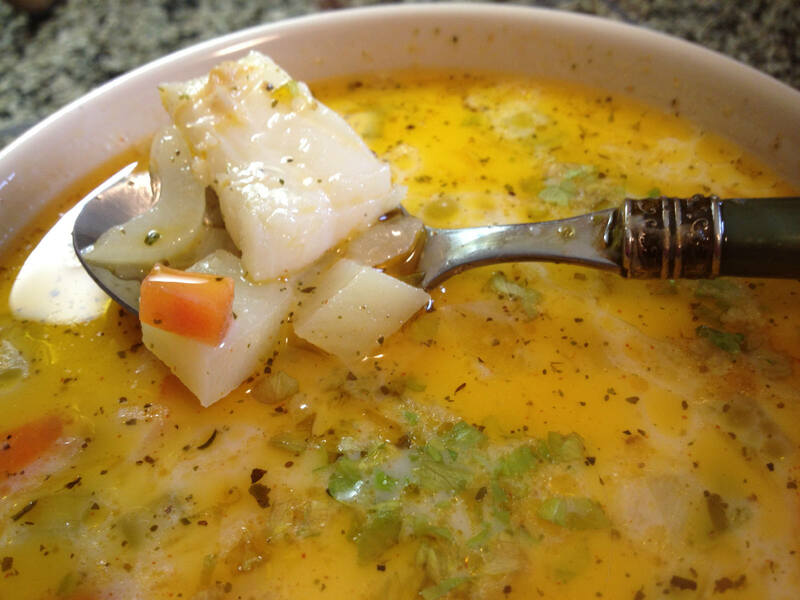 If that’s not enough, it’s a LOT lighter than most chowders — no butter, flour or cream. 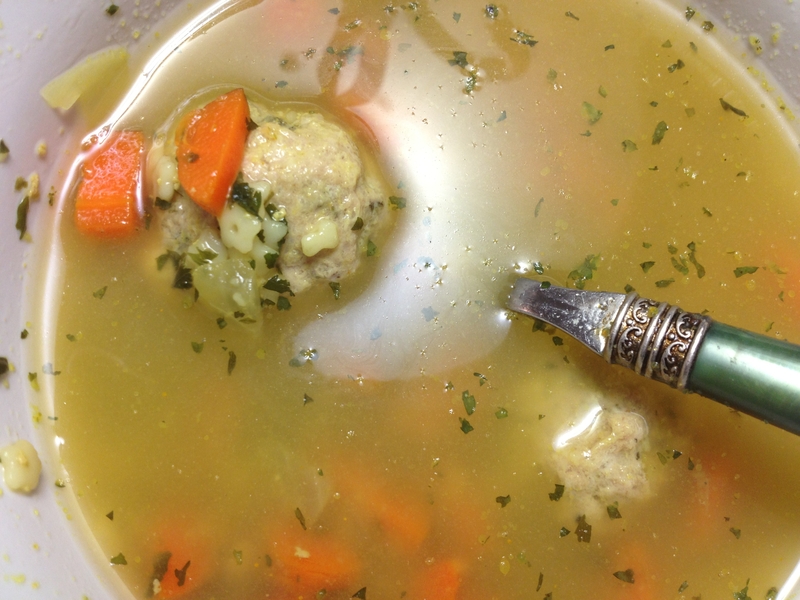 Typically, Italian Wedding Soup is made up of chicken stock, tiny meatballs, even tinier pasta (pastina) and escarole. It’s fantastic, but like many traditional recipes, could use a little lightening up by reducing fat and adding more veggies. I’ve also amped up the flavor by using my complex “Viva Italia!” seasoning blend, both inside the meatballs and in the broth at serving time. So, I’ve swapped out the pasta for cannelloni beans, which provide the same weight and starchiness as the pasta, but add protein. The typical beef meatball is transformed with low-fat turkey breast, and I’ve added carrot and fennel bulb to the usual garlic and onion in the meatballs. Did you know that there is an International Chili Society? Yeah, chili (the stew) and chilis (the peppers) both have huge followings; the ICS even has a Facebook Page! I am a big fan of a piping hot bowl of homemade chili, myself. This time of year when the furnace is blasting but I am still shivering, chili warms me up and fills me up.